Graphic organizers help your students solve problems better. Distribute the Math organizers and resources in this slideshow or browse our entire collection of to find ones that meet your class's needs. Use these blank pictographs to help students organize information. This printable is customizable. Tailor the PDF to your teaching needs by typing in the highlighted fields before printing. Use this blank bar graph to assist students in understanding number comparisons. Use this blank horizontal bar graph to assist students in understanding number comparisons. This printable is customizable. Tailor the PDF to your teaching needs by typing in the highlighted fields before printing. This blank vertical bar graph will help students compare numbers and practice math skills. Use this resource as a part of your lesson or a supplement in-class or homework assignment. This printable is customizable. Tailor the PDF to your teaching needs by typing in the highlighted fields before printing. Use this three-part Venn diagram to identify differences and similarities. This printable is customizable. Tailor the PDF to your teaching needs by typing in the highlighted fields before printing. Help your students develop their math skills using this resource. This printable contains a graphic organizer mat for tens and ones so students better understand place-value. Incorporate into your lesson or use for practice at home. This printable is customizable. Tailor the PDF to your teaching needs by typing in the highlighted fields before printing. Use a printable graphic organizer to help students with place-value. This printable is customizable. Tailor the PDF to your teaching needs by typing in the highlighted fields before printing. Use a 2-group sorting map to help students understand place-value. This printable is customizable. Tailor the PDF to your teaching needs by typing in the highlighted fields before printing. Use a 3-group sorting map to help students understand place-value. This printable is customizable. Tailor the PDF to your teaching needs by typing in the highlighted fields before printing. Use this grid for a variety of lessons. This is primarily used to help students create their own hundreds grid, practicing their counting skills while they create a resource they can refer to when solving math problems in grades 1-3. Other ways it can be used are for higher level grades (such as 5-8) where graphic algebraic equations or geometrical figures are necessary. This chart will become a universal tool that appears often in your classroom. Help students practice their graphing skills of coordinate planes with this blank grid printable. Use as a check for understanding following your lesson on graphing by having students practice skills in class or as a homework assignment. Increase your students' understanding of patterns and number relationships by using this printable hundredths grid resource. Incorporate the grid as part of your lesson or as a supplement to check for understanding in class or at home. 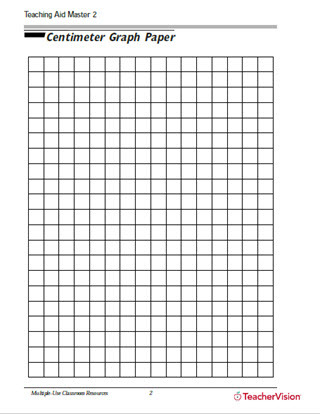 Distribute this blank 2x10 grid for students to fill in. This printable is customizable. Tailor the PDF to your teaching needs by typing in the highlighted fields before printing. Help students understand and graph coordinate planes with this printable worksheet. It's a blank template you can use in a variety of ways to enhance your mathematics instruction and give your students some hands-on practice in math graphing. Use the graphing grid with four rows to create graphs or explore number relationships. This printable is customizable. Tailor the PDF to your teaching needs by typing in the highlighted fields before printing. Use these 4-digit charts to help students understand place-value. This printable is customizable. Tailor the PDF to your teaching needs by typing in the highlighted fields before printing. These charts will help students understand place-value. This printable is customizable. Tailor the PDF to your teaching needs by typing in the highlighted fields before printing. Help your students develop their number math skills using this 12-digit place value chart resource which extends to the billions. This printable can be used to teach counting, place value, as well as, other math concepts. Incorporate into your lesson or use for practice at home. Help your students develop their number math skills using this place value chart resource which extends to the trillions. This printable can be used to teach counting, place value, as well as, other math concepts. Incorporate into your lesson or use for practice at home. This printable is customizable. Tailor the PDF to your teaching needs by typing in the highlighted fields before printing.